Jambeaux, everyone!!! Harambe! 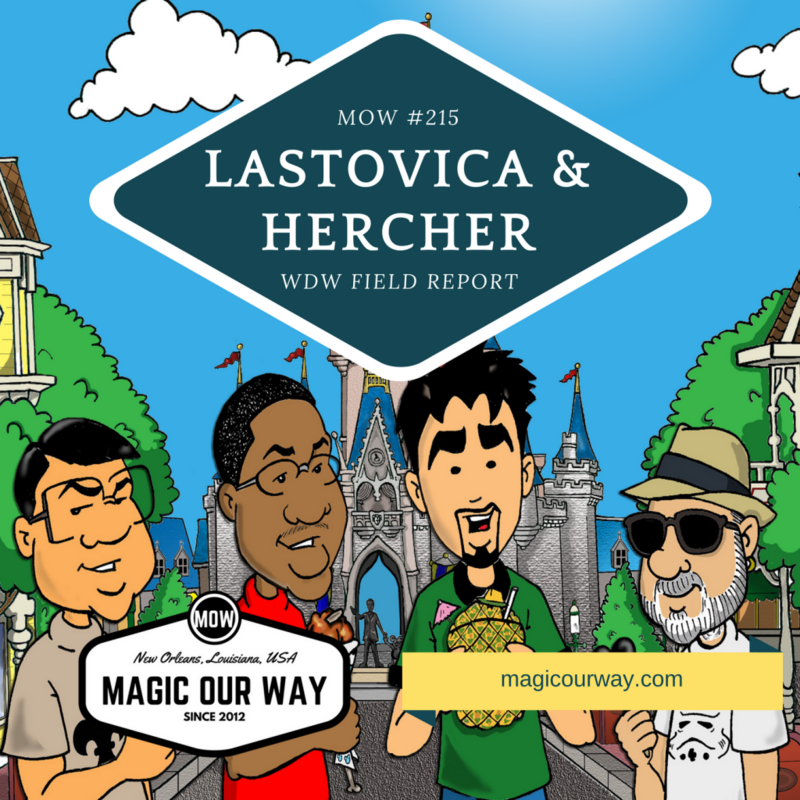 On this episode, we present two field reports direct from Walt Disney World: one from Lee and one from Mr. MOWnonymous, and voice of the Magic Our Way podcast, Richard Hercher. 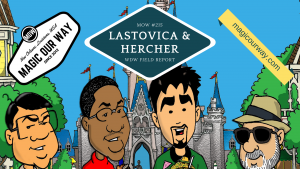 For this segment, we present two Walt Disney World field reports: one from Lee and one from Mr. MOWnonymous, Richard Hercher. Both individuals travelled to Walt Disney World in April 2018 on the weekend of the Star Wars Half Marathon: The Dark Side. It also was Earth Day 2018 which is also the 20th anniversary of Animal Kingdom. It was a busy weekend with lots of fun. Lee went with his son to support Dr. moWHOcan’s first attempt at a Disney race. The Herchers travelled down for their vacation. Both parties met up with The Raz (Elizabeth Rasmussen) and Dr. moWHOcan (Leisa Mundy) and GT for dinner at California Grill on Saturday night. It was a great mini-meetup for the MOWican Nation. Listen to both Lee’s and Richard’s account of their trips to Walt Disney during this time. What did you think of the discussion? Any comments? We would love to hear your thoughts. Share them at show@magicourway.com. Your opinions are always welcome on our show. Seriously, every opinion is welcome. Jambeaux, everyone!!! Harambe! 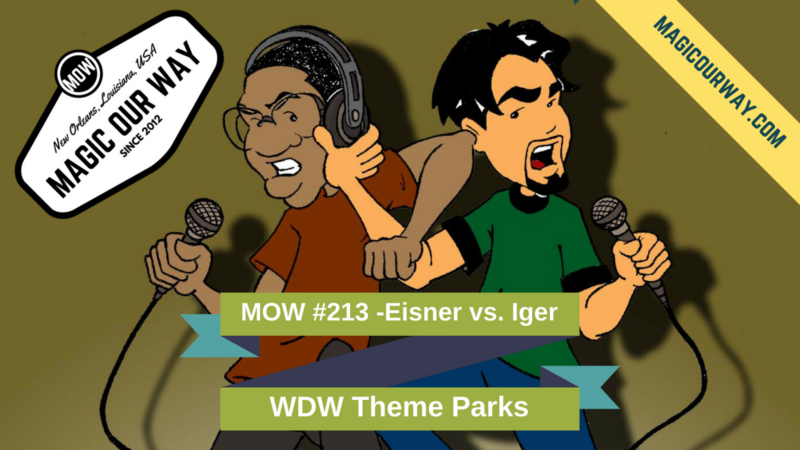 On this episode, Lee presents his take regarding Cheap Walt Disney World Vacations. 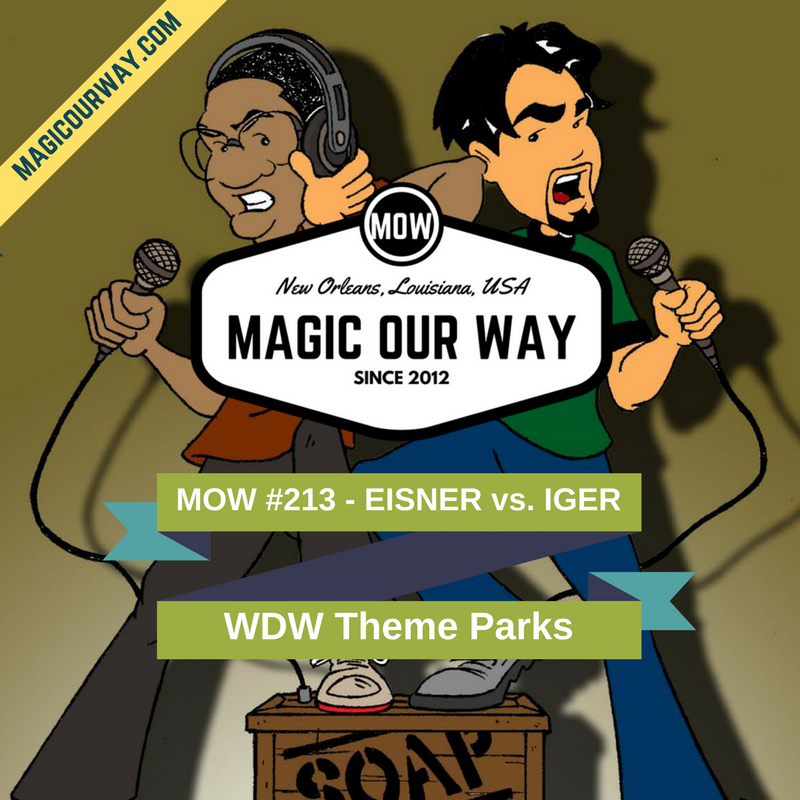 Listen as he discusses things to consider should you want to save money on your Walt Disney World vacation. We work to catch up with all of our pieces of communication sent in by the listeners. On this show, we recognize Stephen Downs and, oh!! !, Susanna. We love to hear from our listeners! Remember, all opinions are welcome on this podcast. THE HUB: Cheap WDW Vacations? 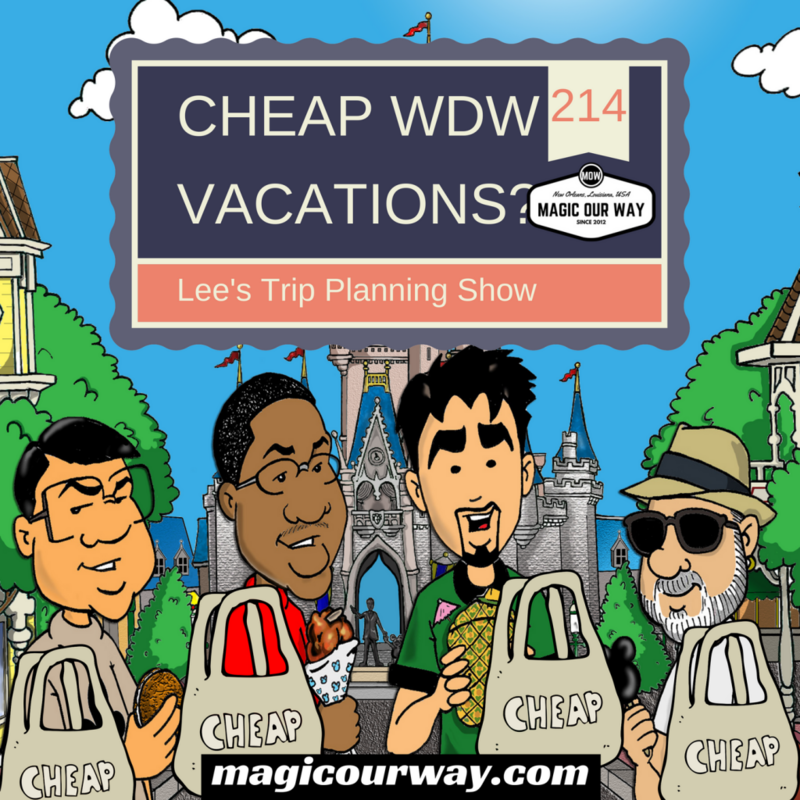 For this segment, Lee presents his take regarding Cheap Walt Disney World Vacations. 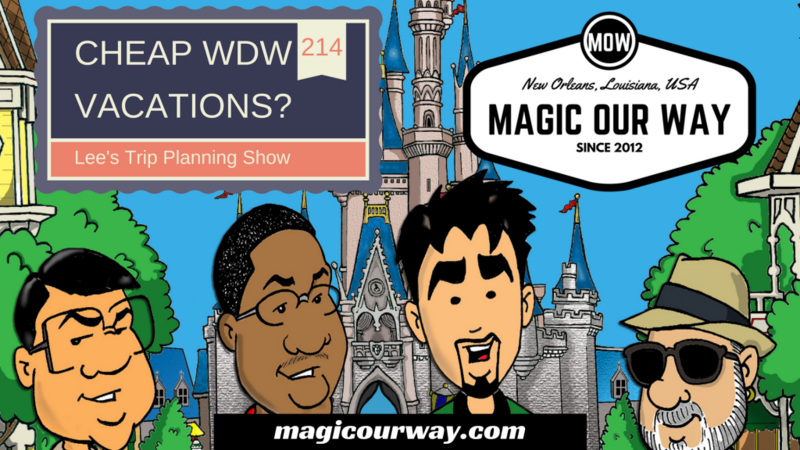 Listen as he discusses things to consider should you want to save money on your next Walt Disney World vacation. When Lee asks a potential client when they would like to travel to WDW, the typical response is during the cheapest time. Well, of course, there are several things to consider which includes everything from discounts to hotel rates based on time of year and prices that don’t fluctuate. Jambeaux, everyone!!! Harambe! 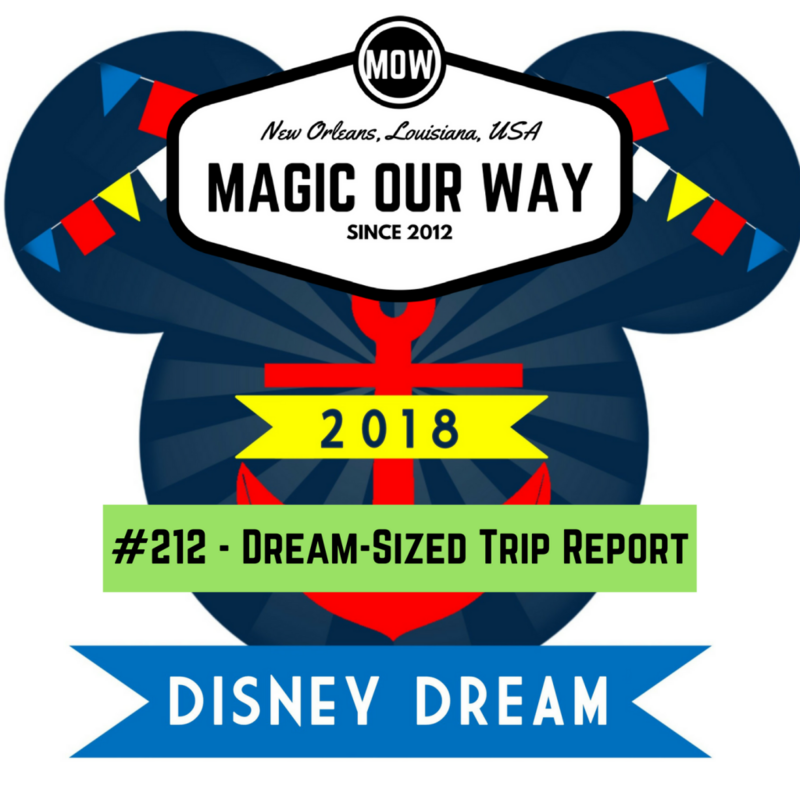 On this episode, we present our Disney Dream-Sized Trip Report. Kevin and the Roberges took trips on the Disney Cruise Line ship, the Disney Dream, back in February 2018. Listen as they share their experiences. In Guest Services, we give a special shout out to Beth Chaisson. Thank you for your unsolicited praise, Beth! For this Hub, we present our Disney Dream-Sized Trip Report. Kevin and the Roberges took trips on the Disney Cruise Line ship, the Disney Dream, back in February 2018. Listen as they share their experiences. You read that correctly! This trip report is a definitely a big one. It was Kevin’s 2nd Trip on a Disney Cruise ship and it was the Roberge’s 1st trip on a cruise ever. We discuss everything from dining to experiences to ports and our experience through the terminal. We also learn our the various costs that we endured including visits to the doctor, parking, and satellite wifi access. Have you cruised with the Disney Cruise Line before? What was your experience in comparison to Kevin’s and Roberge’s? Any comments? We would love to hear your opinions. Share them at show@magicourway.com. Your opinions are always welcome on our show. Seriously, every opinion is welcome.